Linnaeus had no knowledge of natural selection, genetics and DNA, and other scientific principles that we now take for granted. He based his classification on existing species as he know little, if anything, about prehistoric life. Paleontologists have long recognized the hereditary relationships between species and realized that categorizing them into neat little compartments was inadequate for their purposes. They have discarded the Linnaean system and replaced it with phylogenetic systematics, also known as cladistics. It organizes species and groups of species in relationship to one another based on the development of physical characteristics. This new methodology was used to create this exciting poster. 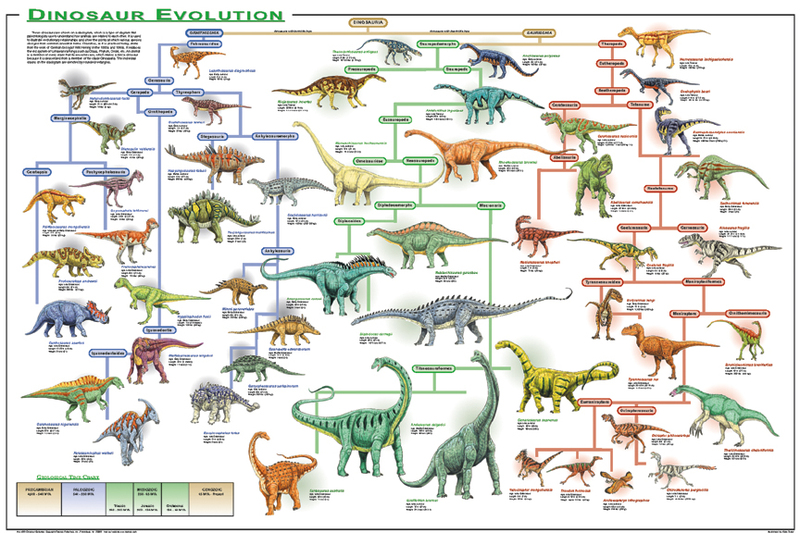 It uses the new cladogram format to show how dinosaurs evolved over millions of years.